DAVE KANE: “If you don’t know Dave Kane, you’ll never forget his afterlife connection with his son, Nicky, after watching this early Afterlife TV episode. Dave’s story will make you aware of the many ways your own departed loved ones might be trying to send you a message. In 2003, a fire erupted in a Rhode Island nightclub called The Station claiming 100 lives. The youngest victim was an 18-year-old actor, writer and musician named Nicholas O’Neill, known as Nicky. Following Nicky’s tragic passing, a string of messages, signs and signals from the other side began flowing into the lives of those who loved and survived him. Subsequently, a documentary and book have been made to tell his story. that life and love continues in the afterlife. DAVE KANE, father of NICHOLAS O’NEILL, the youngest victim of the fourth largest nightclub fire in U.S. history, shares fascinating stories and intriguing evidence that life never ends. After receiving a barrage of signs, including vocal messages from Nicky, Dave is convinced that he has not “lost” his son. Instead he has been given the priceless gift of a loving, eternal connection with his boy. After experiencing Dave’s uplifting presentation and seeing his evidence, you too will be assured that your loved ones who have passed are still with you. First of all Bob–thank you for what you do!! I watched your amazing interview last night. 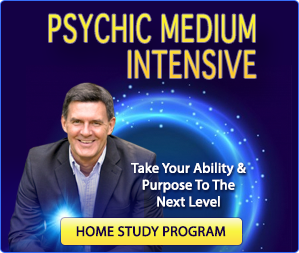 I have had my own experiences with signs, so your experiences serve as confirmations for me–thank you for sharing your story! This am I was telling my husband about your story while he cooked breakfast, I ended with the music box gift and as I was describing it playing at 9:41–my attention was drawn to the clock on the stove–yep, 9:41 we both got head to toe goose bumps…Thanks Nicky! Thank you for sharing your story. Very cool. glad I found your site. I have had things happen to me and my family after people who have passed. My grandson passed from suicide and I received a message that said he had returned as his sister’s new he said that he was so sorry for the anguish he had caused his father and he wanted me to tell his father he was sorry but he was back. My son was a skeptic and kinda laught at me before he broke down and cried. Thanks for sharing. Sounds like you’ve been through a lot. I’m glad you’re getting some signs and messages. What a great interview. I can hardly wait to see the documentay. 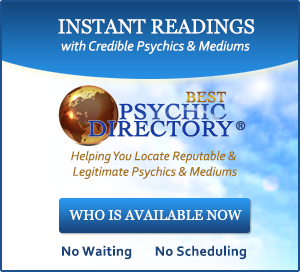 Can you please help me get in touch with a specialist such as a psychic medium who can talk with the departed? See my grandpa passed away a few months ago and I would like to greatly hear from him on the other side. 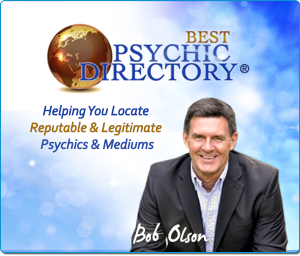 I figure you have many great folks you meet and can lead me in the right direction with a contact. Ps. Thank you for all the wonderful work you do! You really help many people. Thank you for the wonderful interview. It amazed me because just yesterday i was watching another video which showed a photo about the station club fire and today i chance across your video. And also, when you started talking about the number 41 i looked at my clock and it was 4:15am. I’ve had a lot of signs from a loved one who had just passed 6 months ago and thought i was overthinking things, but it’s comforting to know that other people experience the same thing as well. That’s quite a coincidence. I would certainly pay attention to what that might mean too. Very cool. Awesome video. My wife and I lost our 17 year old son several months ago and are looking for comfort where ever we can find it. We have a couple of great stories of our him reaching out but would like confirmation that in deed this is him contacting us. Would it be worth our while to see a medium? My wife is still going through unbelievable episodes of grief and I am trying to find anything to help her get through this. We are going to grief counseling but any additional advice would be appreciated. Well of course I’m very sorry for you and your wife for the passing of your son. 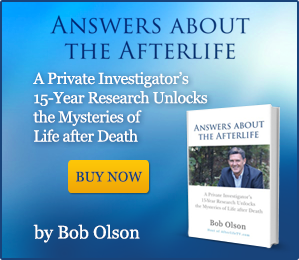 I certainly recommend watching as many episodes of Afterlife TV as you are able. Many people in deep grief find them comforting. Quite a few folks have said they’ve watched every episode and then began to watch them again. You always get something new each time you watch one. 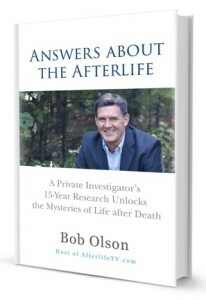 I also recommend my book, Answers About The Afterlife: http://www.amazon.com/dp/0965601986/?tag=ofspiritcom07-20 – I wrote it with people like you and your wife in mind. Thousands have let me know how much it has helped give them comfort, so I truly believe in it. In the book I explain my views on mediums: when to see one and when it might be too early, how to choose the best one for you, and how to get the most out of your reading (what you can do to improve it). 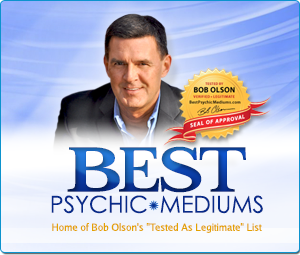 Also, my websites to help people locate credible and reputable mediums are listed in my book (and can be found on AfterlifeTV.com). Because there is so much information to convey to you about using mediums when in deep grief, I would prefer you read the book (I don’t have the space here to give you the advice that I think is proper). That said, readings with mediums have been very helpful to people in deep grief, basically because it provides evidence that your son is not gone but rather in a different form/dimension. He is fully aware of what you both are going through, and I have no doubt that he is sending you little signs to let you know. When someone gains enough evidence to truly “know” this (a knowing versus a belief), that is when the comfort comes. There’s never a complete healing for loss, but even a little comfort is worth a lot. (So don’t touch my stuff!!) my dad was always telling us “Don’t touch my stuff” so made me smile ok dad I get it!! I get lots of signs and I watch out for them all the time. That’s very cool. Thanks for listening & for sharing that story. My heart goes out to Nicky’s parents, and am So glad they’ve found some peace. My dad passed recently, and room 414 was among the jumble of hospital rooms he was in. I hope he’s with me the way Nicky is with his family. I love and miss you So Much dad! Thank you and Dave Kane for sharing this wonderful conversation! So very sorry about your dad’s passing. Of course he is with you. Just stay aware of the many signs. You might find that you and he have something special of your own. Best wishes.